Raymond Eugene Taylor, age 73, of Marion, North Carolina passed away Wednesday, August 29, 2018 at Mountain Ridge Health & Rehab. Raymond was born March 12, 1945 in North Hampton County, VA to the late Milton Eugene Taylor and Elizabeth Pruett Taylor Mears. He was a veteran of the US Army and he was the manager of the cafeteria at Baxter Healthcare for many years until his retirement. Raymond was very outgoing and had a bubbly personality. He made friends easily and everyone loved him. 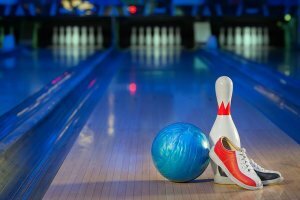 He enjoyed shopping and bowling and bowled for the Southeastern Championship Bowling League for over 20 years. His family takes comfort in the fact that Raymond accepted Christ as his Savior July 27, 2018. In addition to his parents, he is also preceded in death by his brother, Freddie Taylor. Those left behind to cherish Raymond’s memories are his beloved wife of 52 years, Sally Ann Fox Taylor; four children, Raymond E. Taylor, Jr. and wife, Dreema, Kim Lister and husband, David, Joe Taylor and Christina Parker and husband, Rev. Jeffrey; six beloved grandchildren who were Raymond’s pride and joy, Heather, Trent, Taylor, Quinten, Caleb and Talma; one great granddaughter, Addison; one sister, Laura Mae East and husband, Billy; and special friends, Shirley Greene and Larry Byrd. Funeral services for Raymond will be held at Fox Funeral Home in Tempersville, VA, services will be announced on Beam Funeral Service’s website once available. A memorial service will be held at a later date in Marion, NC. Those wishing to send flowers may send them to Fox Funeral Home in Tempersville, VA.